Pembroke and it's hiking trails are in the part of the south shore that I have named the middle eastern sector. The town has rural charm that has caused it to experience considerable growth in it's population making it more of a suburban town. Yet amid that growth it still retains much of it's rural appeal. Pembroke is another town that can be easily accessed by route 3. The exit off route 3 leads you to other major routes of 139, 53 & 14. These will bring you either directly to the hiking trails or to main roads leading you to them. The busiest portion of the town with traffic is in the north where route 3 and 139 intersect. Portions of route 53 at the Hanover line are quite busy as well as Route 14 in the center of town. Otherwise driving is quite pleasant and many times scenic. The North River flows into the north of Pembroke and is used in it's northern boundary. Pembroke is noted for it's abundant water resources. Indian Head River is a tributary of the North River. Many other smaller brooks and streams run off the North River. 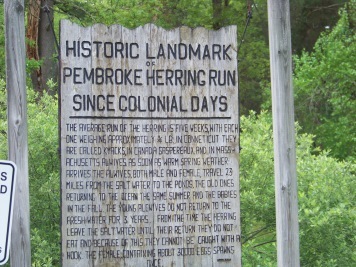 area, the streams of Pembroke have been prized for it's herring. 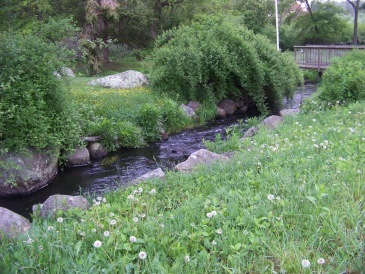 Herring Run Park is located on route 14 (Barker st.) near the center of town. As with many of the towns of this area the water resources had much to do with the development of the town and it's hiking trails! Before Pembroke was a town it was part of Duxbury. The earliest settlers are said to be Robert Barker and Dolor Davis who settled here sometime in the 1640's. Adventurers were exploring the coast and came upon the North River. They sailed up as far as they could navigate and found a spot that seemed good to locate. 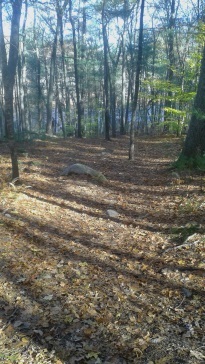 This was the area near the herring run. Here they built a one room house of brick. Previously the only residents of this land were the Wompanoag and Massachusett indians. They, also were attracted to the land, because of the herring run in the spring and called the area Mattakeesett meaning "place of much fish". 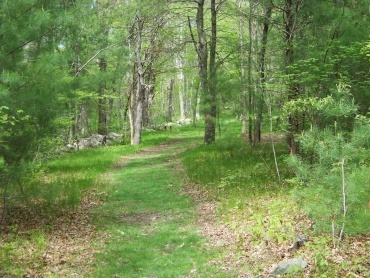 This land was also known as the Major's Purchase as large portions of it was said to be purchased from Josiah Wampatuck of the Massachusetts by English Investors. The Major was Josiah Winslow. Myles Standish who is said to have given a tract to Robert Barker. Pembroke was incorporated in 1712 and took the name from the town of Pembroke in Wales. In 1820 the part of town known as the "West Parish" separated and became Hanson. Early industry was the saw, grist and flour mills. As other towns that have the North River flowing through them, ship building was another early industry.This industry started in 1678 and lasted til 1871. There were 5 ship yards in Pembroke. One ship built was the Beaver which was involved in the Boston Tea Party. 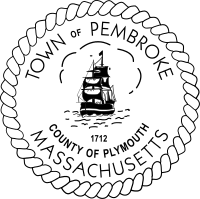 Another is named Maria and is the one depicted on the town seal. In 1720 the Pembroke Iron Works was established and used the many ponds of the area to dredge for iron ore. In the winter ice houses were built and the ponds were used for cutting ice. The travel and tourism industry came to Pembroke in the late 1800's and early 1900's with once again the water resources of the town being that attraction. The Brockton and Plymouth Railroad company had a trolley service through the area. Wishing to increase ridership they decided to build an amusement park on the shores of Little Sandy Bottom Pond in the Bryantville section of Pembroke. 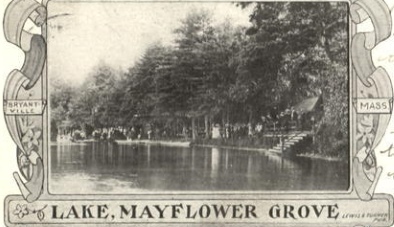 Mayflower Grove was created. that it attracted performers of all sorts from many areas. cottage communities being developed and many still exist today. you ride down route 27 and other areas of Pembroke and the South Shore. In this same time period another industry had started in some of the other towns such as Abington, Rockland and Whitman. The shoe industry was in full gear and helped to solidly build those communities. Pembroke's part in this was in the box industry. All those shoes needed a box to go in. Along with boxes they soon started making crates for the cranberries and a number of poultry farms had sprung up in town. These also had need for the crates. 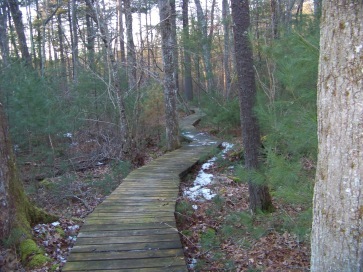 A quick hike of mostly boardwalk through a wooded area along the North River. This is a Wildlands Trust property. 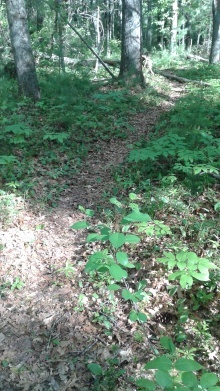 willow brook has a variety of hiking terrains suited for multi purpose uses. by both land and water. 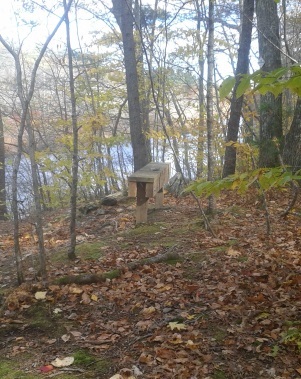 A moderate network of hiking trails along the Indian Head River set behind the Pembroke side of the Luddams Ford Park. 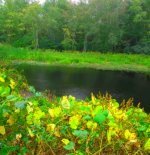 This is a very scenic three mile loop hiking trail that starts at Tucker Preserve and connects to the towns of Hanson and Hanover to create the loop. A great way to see over a mile section of the Indian Head River. Take me straight to the trails!